Yay! What a great day! 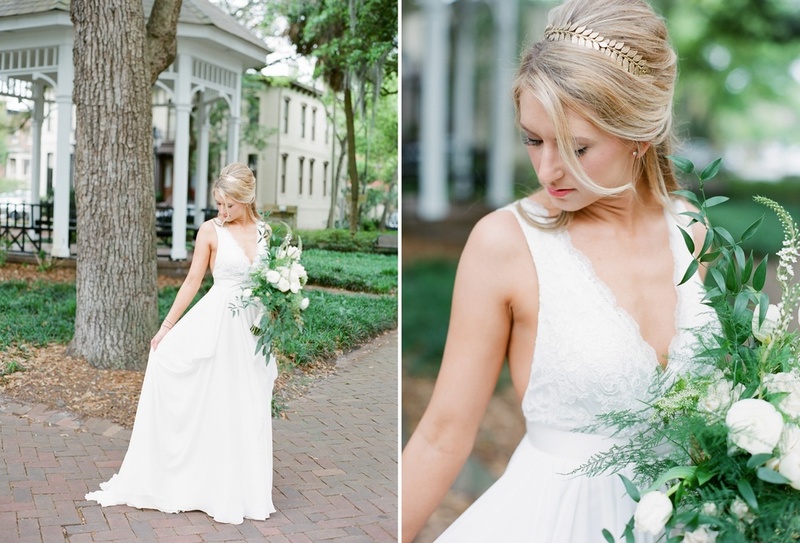 Piper + Trey's Savannah, Georgia wedding is featured over on Style Me Pretty! 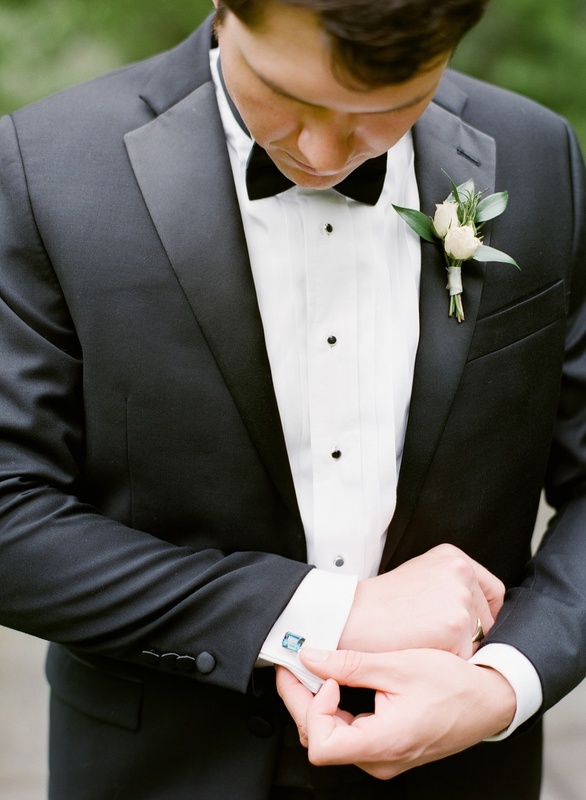 Take a peek below at the feature or head over to SMP to see the whole gallery! 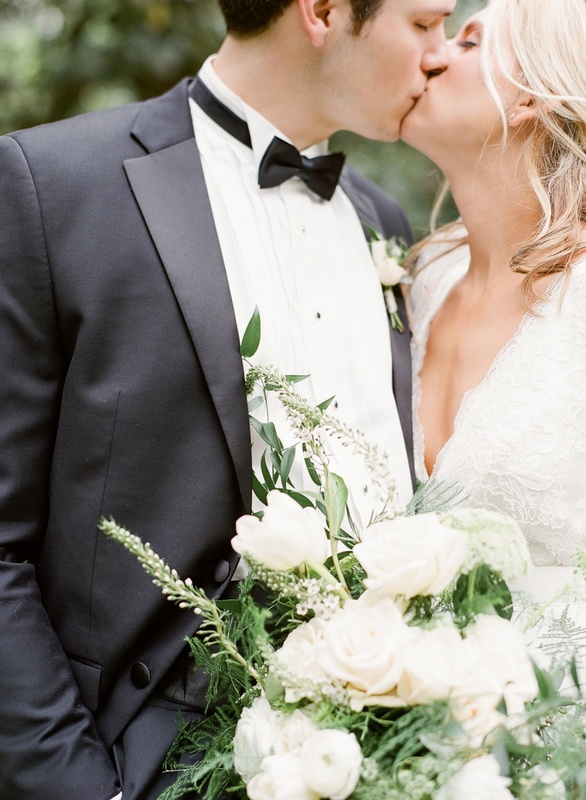 Who knew that getting married at a train museum could be so incredibly chic?! 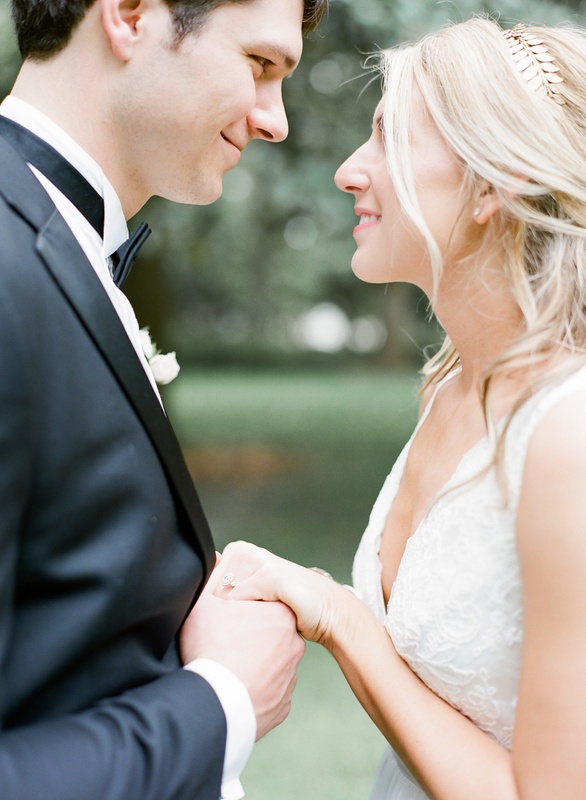 I’ll tell you who, Piper + Trey did, and boy did they pull out all the stops. From the lush bouquets to the seriously sweet captures from The Happy Bloom, this is one celebration that we’re going to have and to hold for-e-v-e-r. See it all in The Vault! Love can be found in the strangest of places. And on this special day, love was found in a tiki bar. Piper heard that “that cute med school boy” would be there and suddenly she found herself sipping a fruity cocktail listening to a local band. And there playing on stage….was cute bed school boy. Med school boy introduced himself afterward and the rest is history. They say rain on your wedding day is good luck. And we believe in that wholeheartedly. 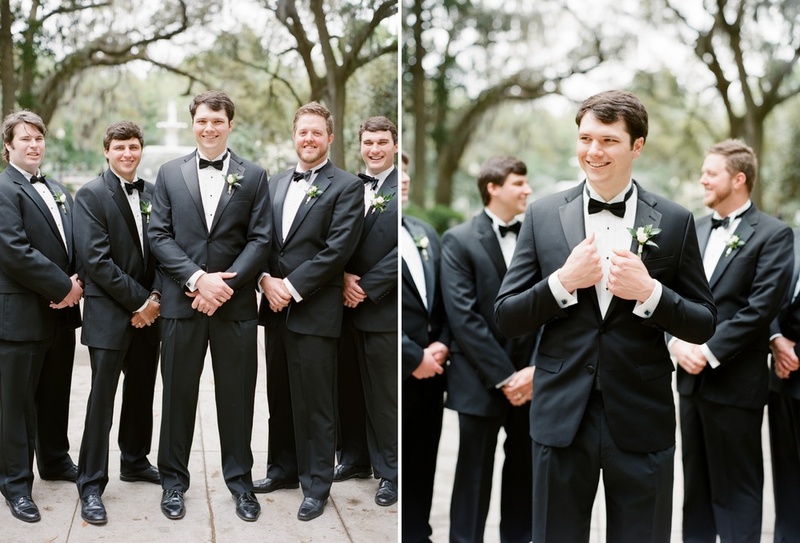 Piper + Trey’s wedding day was on a grey, misty Friday here in Savannah, Georgia. 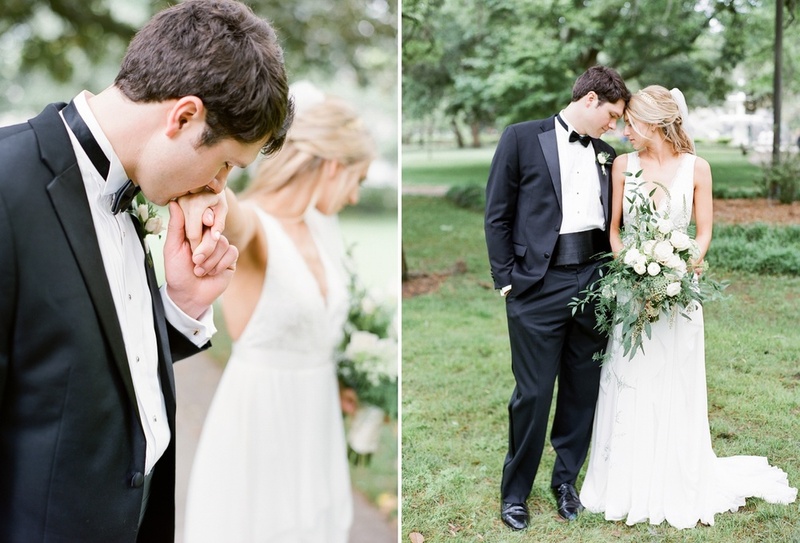 But even the grey skies couldn’t damper this incredible classic black & white wedding day. 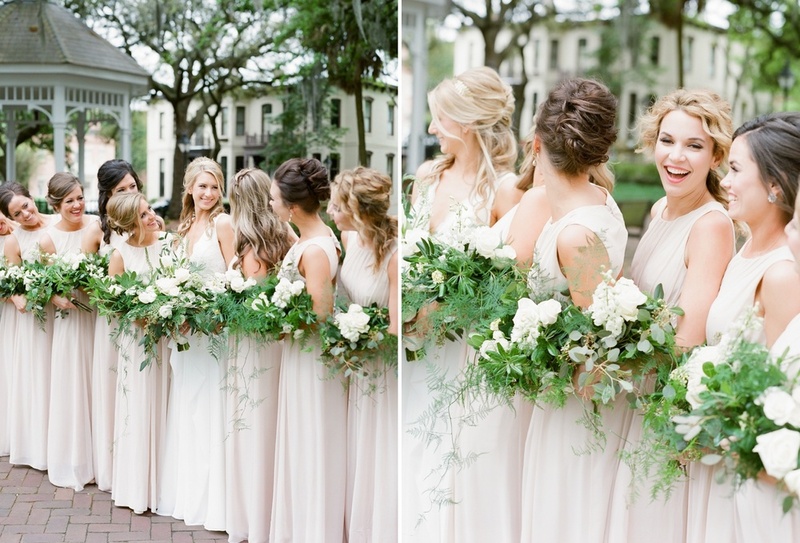 Piper’s girls wore neutral dresses letting their lush bouquets shine. Piper gifted her girls all a ring, each coming in a golden shell case. 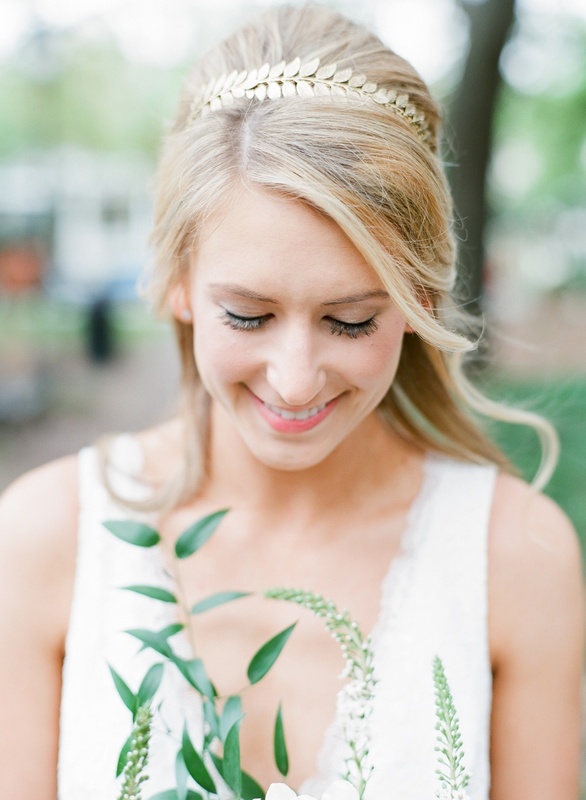 These rings symbolized their friendship and gratitude Piper felt for her girls on her big day. 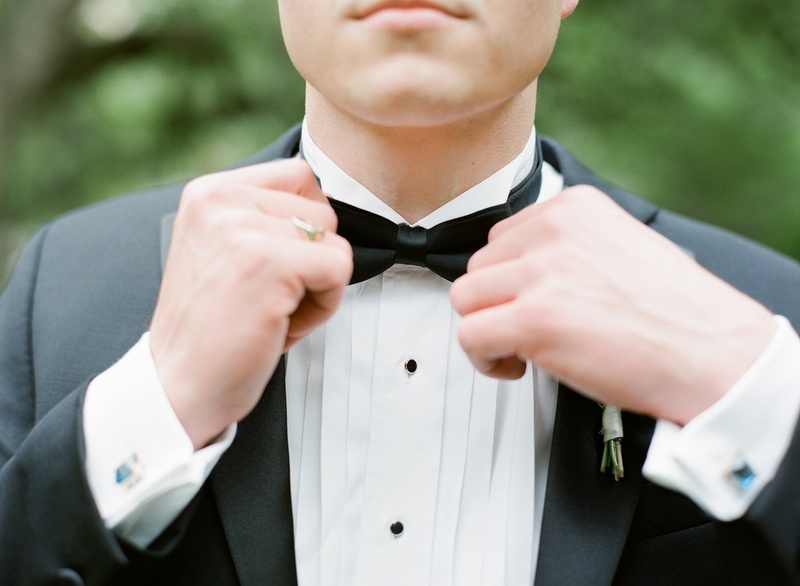 Trey and his guys wore classic tuxes and bowties making this wedding day a sophisticated affair. Trey’s father passed away three years ago but his dad was there every single second of this incredible day. 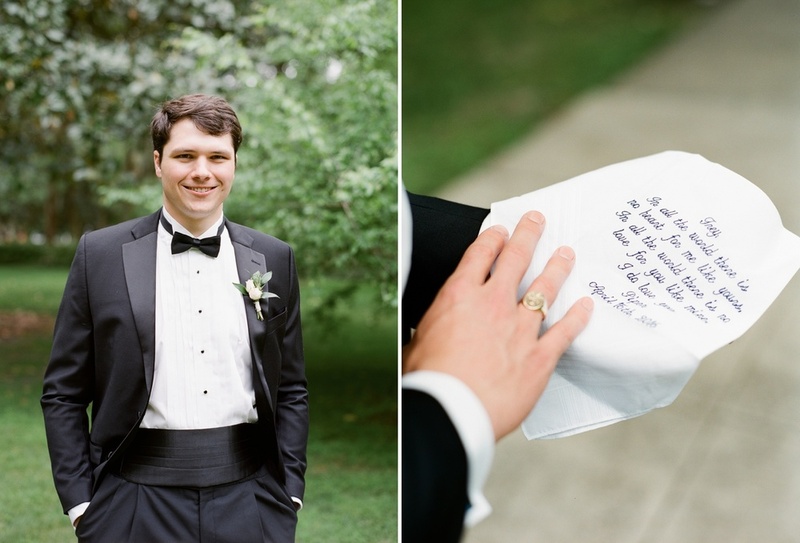 Trey wore his father’s ring ensuring that his presence would be there from the very beginning all the way until the excited sparkler sendoff. Right before their first look, Trey opened a gift from Piper. It was a handkerchief with the sweetest words from Piper: “Trey, in all the world there is no heart for me like yours. In all the world there is no love for you like mine. I do love you. 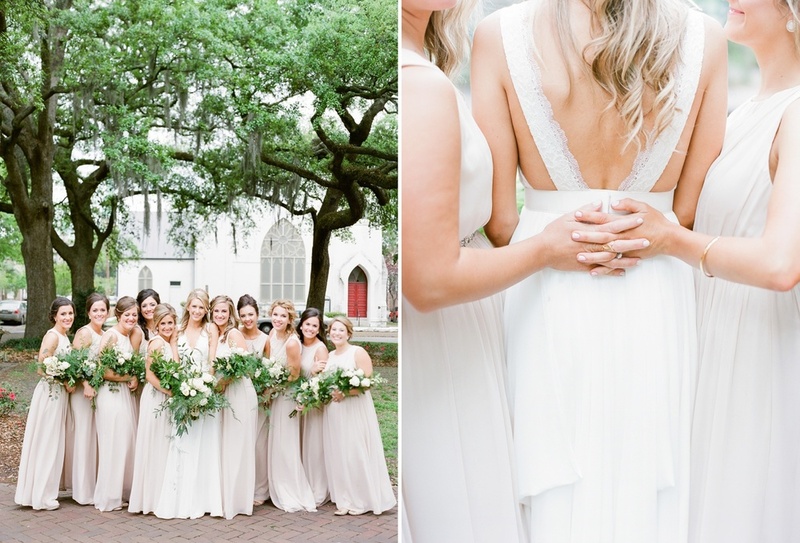 – Piper” What an incredible prelude to a romantic first look in Savannah’s Forsyth Park.